30390 - Hotchkis Anti Squat Bracket - Dezod Motorsports Inc - Home of the automotive performance enthusiast since 2002. 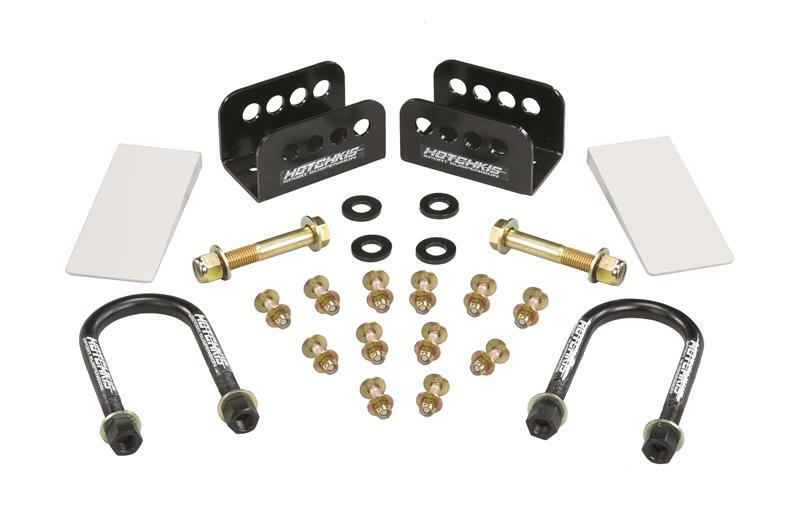 Improve the cornering performance and traction of your vehicle with the Hotchkis Sport Suspension Anti Squat Bracket System. 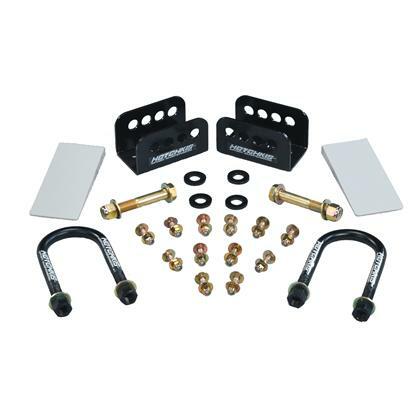 This kit includes Precision Laser Cut ,CNC Bent Brackets with 4 positions for tuning the trucks anti squat characteristics for improved launches, increased traction and added power out of the turns. The kit is a direct bolt in system and comes complete with Billet differential wedges for pinion angle changes. Finished in gloss black powder coat, this system is a direct bolt in and will improve your vehicles performance. Note: This system only works on coil spring models.